The world is full of lawyers. So why choose attorney at law Benjamin Sapp of the Sapp Law Firm? When you call the Sapp Law Firm, you’ll talk directly to Benjamin Sapp, an accomplished personal injury attorney. He will handle all the details of your case. Benjamin Sapp serves the people of our region. A former Eagle Scout and second-tier public defender, Ben Sapp has successfully represented Lowcountry clients for more than 15 years. Ben Sapp also served on the planning and development committee for Colleton County. People who know him recommend him as hardworking and professional, with a heart for the people of Walterboro and Colleton and Dorchester counties. As a personal injury attorney, Ben Sapp has won maximum compensations for people injured through no fault of their own. He has stood by people injured in car accidents, motorcycle crashes, truck accidents, and more. 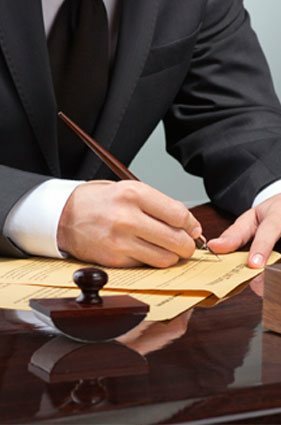 In addition to personal injury work, Ben helps people with divorce matters, business formation, sound buy-sell agreements, wills, DUIs, and many other legal problems. Attorney Ben Sapp stands up for working people. If you have filed a claim for any kind of workplace injury and been denied, you need to talk to Ben Sapp. As an experienced family lawyer, Benjamin Sapp has your best interests at heart. When we work on your family law case, you can rest assured that you’ll be treated with compassion and respect. Our family law attorney and his staff will work hard to make sure your rights are protected and your children are taken care of. Have you been hurt in a car wreck in South Carolina? Were you injured because of someone else’s negligence? For maximum compensation, call Walterboro, SC personal injury attorney Benjamin Sapp at 843-549-5923 today. Sapp Law Firm is conveniently located just across from the Colleton County Courthouse. We’re open Monday through Thursday 8:30am to 4:30pm and Friday from 8:30am to 1pm. First-time visits are offered at no charge. Hire Ben Sapp because he gets the job done for people and families in the Lowcountry.